Composers Joseph, Daniel, Carlijn and Milad talk ideas and inspirations behind their pieces for this year’s all-day composition festival, Atmospheres. Joseph Shrimpling brings a background in Jazz Big Band, a wind quartet and field recordings of Cardiff together for Jigsaw, which fuses different influences and styles in this contemporary piece. What’s On cover star Daniel Soley uncovers a shrouded internet vlogging community through his innovative multiplatform composition, The Subscribed. Agua, by Milad Khosravi Mardakheh explores themes of water, love and death in this song cycle for piano and soprano. Combining elements of contemporary dance, choral music and Dutch theatre song, Carlijn Metselaar brings a strong narrative element to her collaboration with choreographer and dancer, Jack Philp. 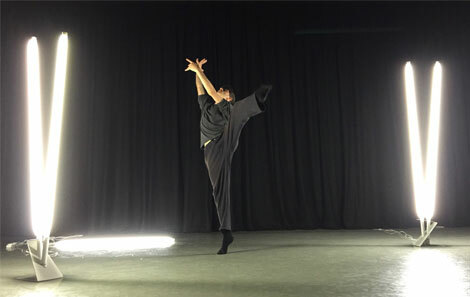 This is a piece written for a trio of piano, violin and cello and performed by one dancer, Jack Philp. What we’re trying to do is create a piece that has loads of gesture both in the dance and in the music which interact with each other and that has energy and loads of direction. Current students will be joined by graduate Gawain Hewitt, who will perform with his innovative and interactive installation, Wonderbox. Atmospheres takes place on Wednesday 10th May, tickets available here.